The Hornet is my most popular model and is a modern interpretation of the contemporary ukulele. Each instrument is individually voiced and constructed using the worlds finest materials. With excellent note separation, powerful projection, and a rich dynamic voice, these ukuleles are sure to inspire even the most discerning musician. The Honey Bee is an extremely versatile instrument. 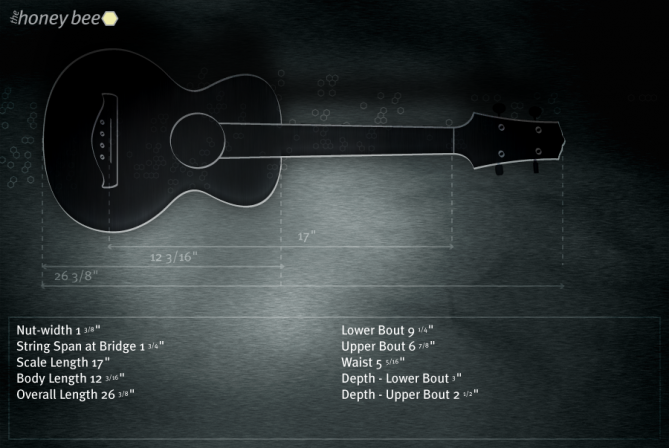 Its warmth and clarity make it perfect for singer songwriters, strummers, and fingerstyle players. This model is evenly balanced from string to string and will quickly respond to the lightest touch. The Honey Bee is built with the best tone woods available today, and employs the best of traditional and modern construction techniques. Photography by Waldeck photography, studio holladay and Dylan John Western. web design by ukulele eddie.